For the past two years I’ve been working at the Southern Arizona Aids Foundation booth at Tucson Meet Yourself. We’ve been doing testing and outreach and try to educate people a HIV prevention. I do a lot of work with queer youth and the art community I help put on art shows and drag shows. A lot of social justice work as well. I find solace in helping other people in showing off their artwork. My queerness and my brownness, those two identities are really huge for me. I firmly believe in the idea of intersectionality and that everything mixes but there’s always a unique experience. 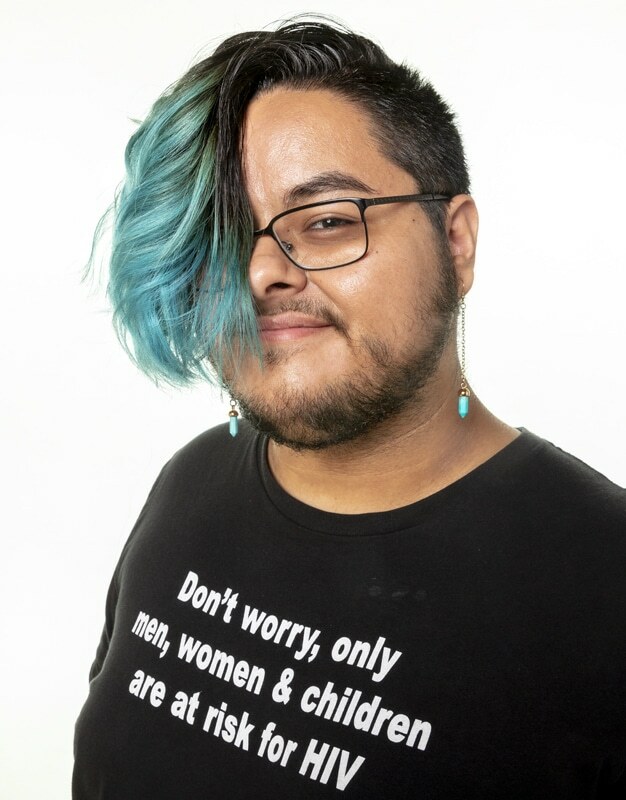 I work closely with the queer youth community. It’s really inspiring and keeps me going when youth express to me they’re having trouble and I’m able to be like, Slow down, it’s going to be okay, this has happened to me and here’s how I dealt with that and here’s a tool set to navigate your own world. So that’s really important to me. This is where I’m supposed to be right now, helping the next generation to be able to move along more freely than we were able to.